The Queen’s Treasures® is proud to take your imagination on a ride through time to the late 1800's. Experience what life was like in the big woods and on the prairie for Laura Ingalls Wilder and the Ingalls family. 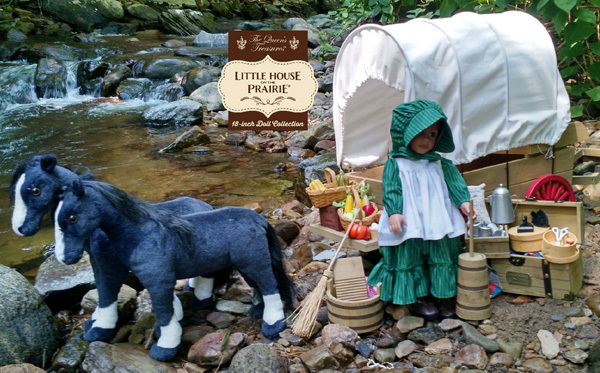 Start the days adventure by riding across the prairie in the covered wagon. Find the perfect camp spot to rest and help Ma prepare lunch over the fire pit or churn some butter for the night’s dinner rolls. There are plenty of clothes to be washed and ironed so don’t forget your chores. As night falls prepare the table for dinner and make that final pot of coffee for Pa. Finally say your payers and start your adventure all over again tomorrow.